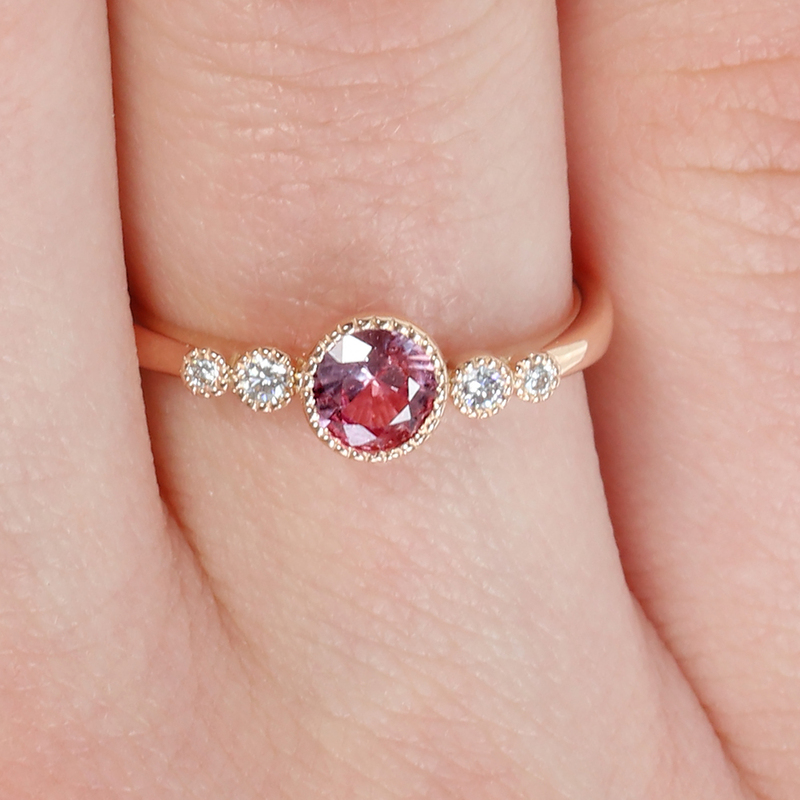 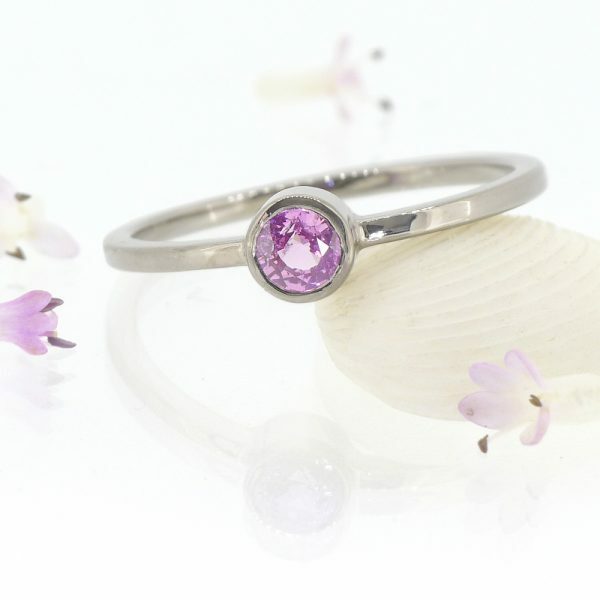 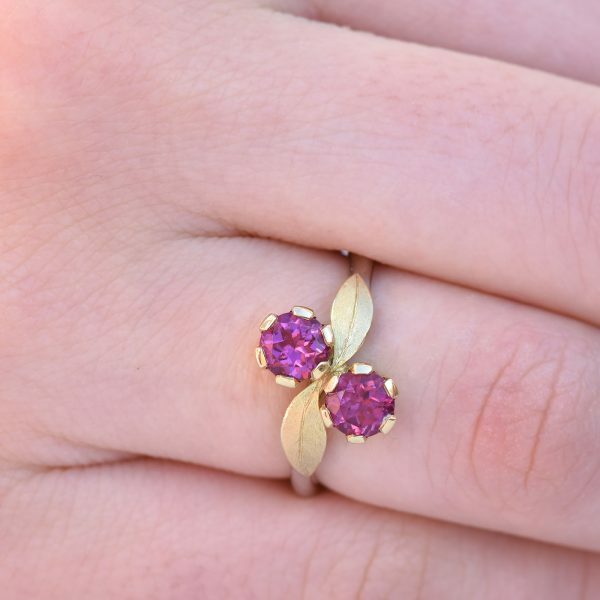 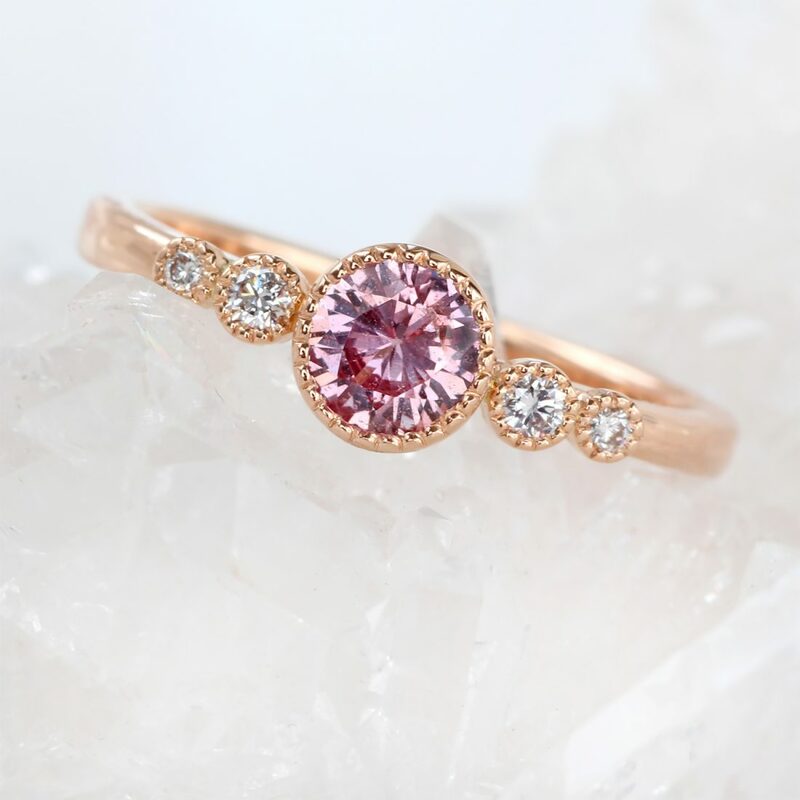 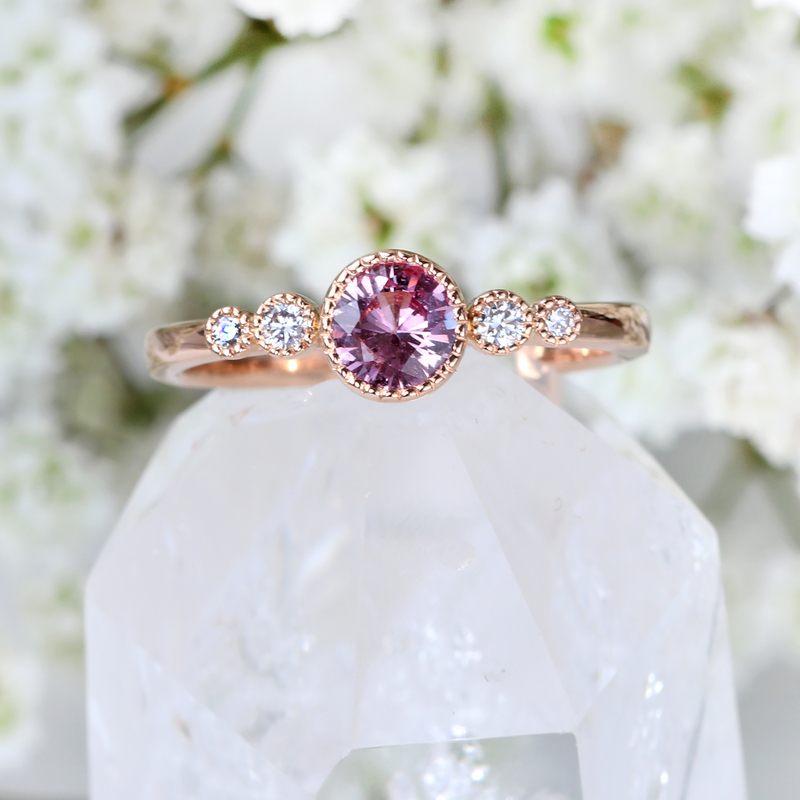 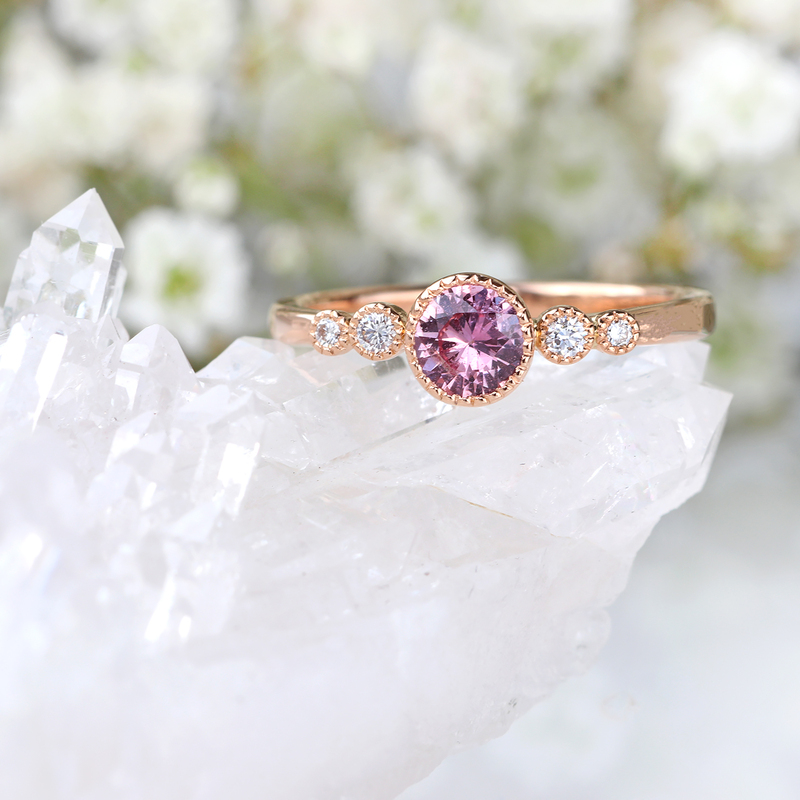 18ct rose gold engagement ring, set with an alluring 4.9mm pink sapphire, with pretty milgrain detail around the setting. 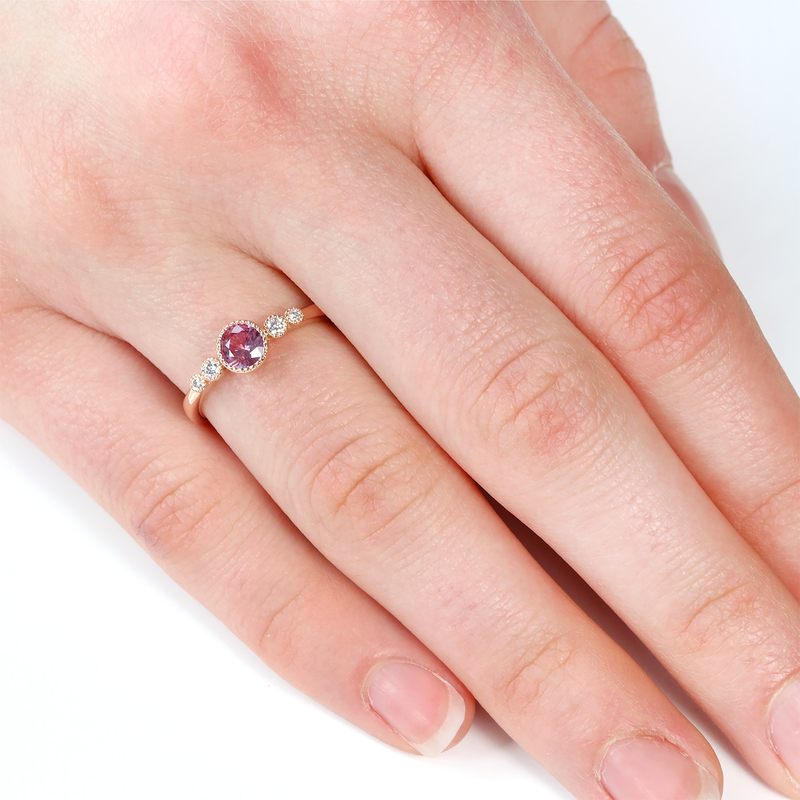 The sapphire is flanked by graduating 2mm and 1.3mm Canadian fair trade diamonds. 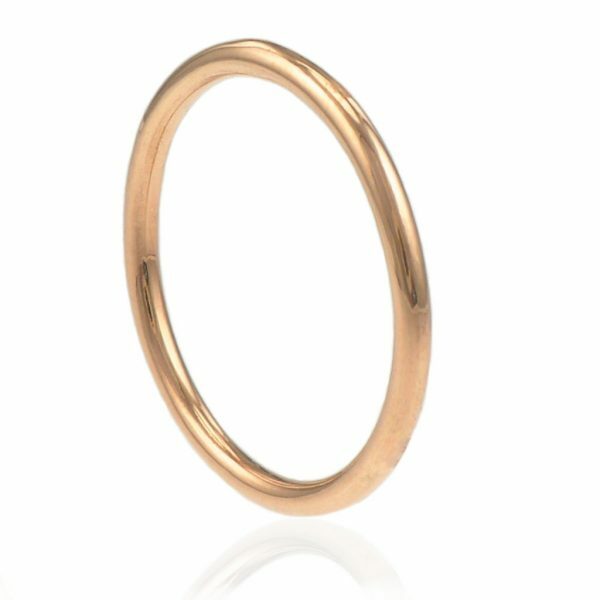 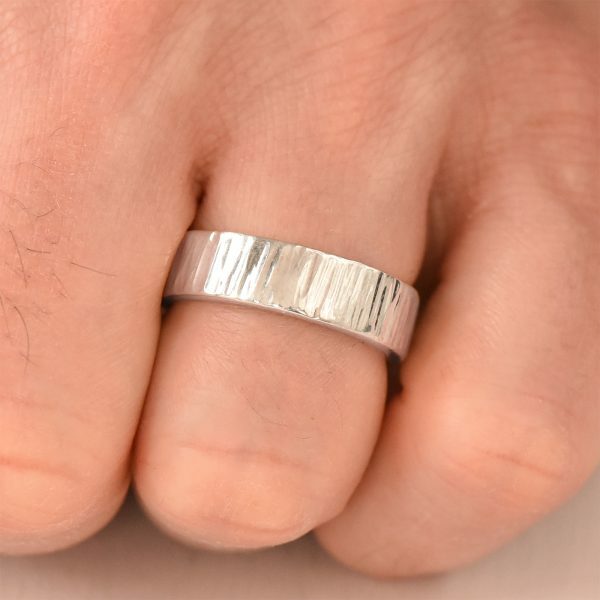 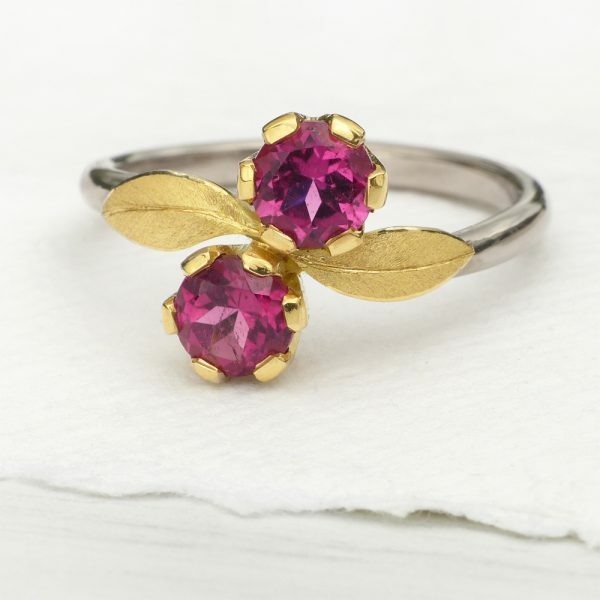 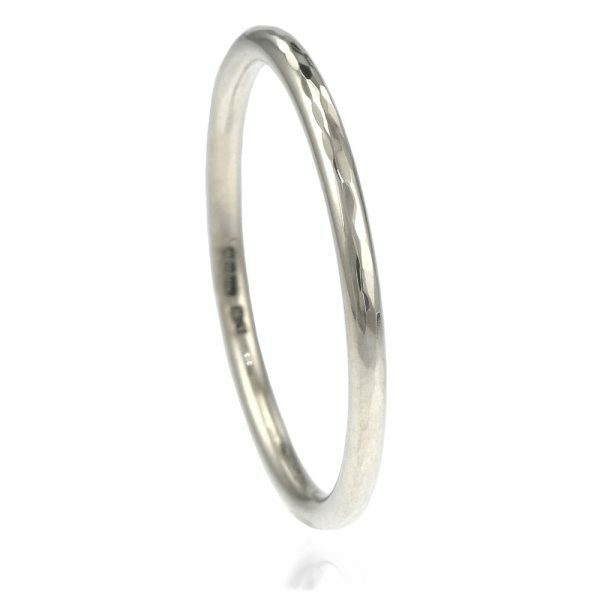 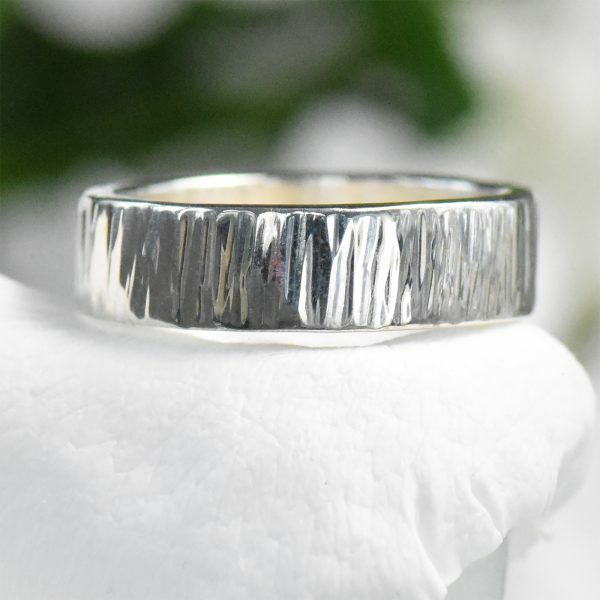 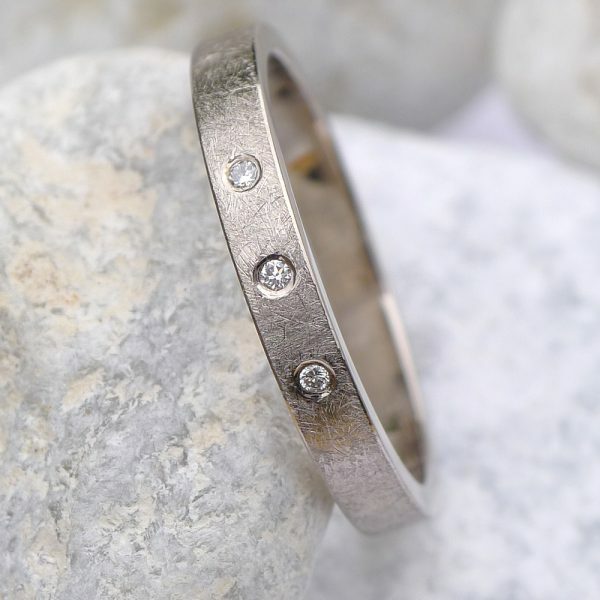 This ring is ready to wear in size L (US 5 3/4), however it can be adjusted a few sizes smaller or larger. 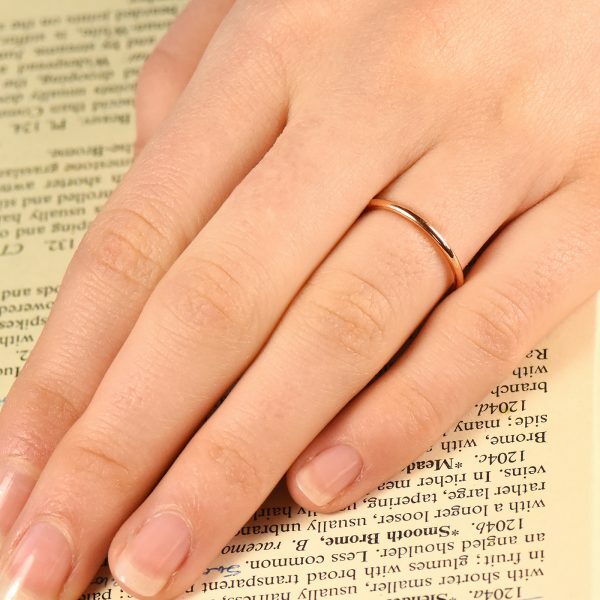 Handmade in the Cotswolds, England and hallmarked by the Birmingham Assay Office, the ring is available for the next day delivery in a Lilia Nash presentation box. 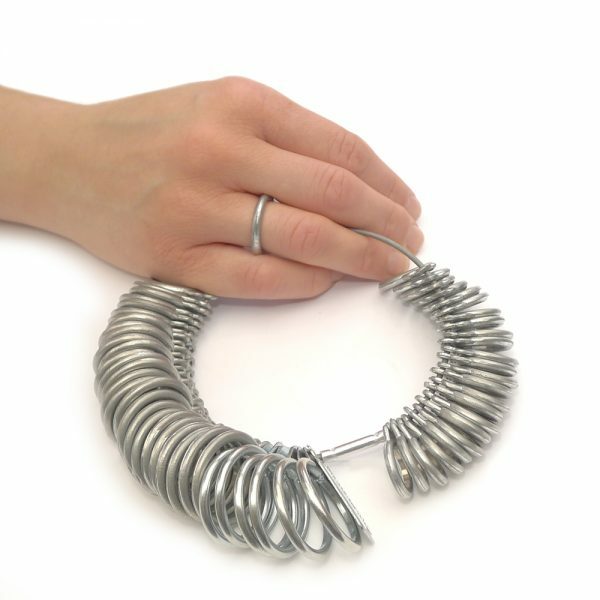 SIZE – Ready to wear in size L (5 3/4 US).